As a Senior Private Banker, with TD Wealth Private Client Group, I work with a team of wealth professionals to assemble a comprehensive plan which assists in covering the complexities of tax planning, cash management, long-term investing and estate planning strategies. I act as the main point of contact for my clients and guide them through all the stages of their lives with the utmost care and professional advice. I started my career in banking with Canada Trust in 1990. 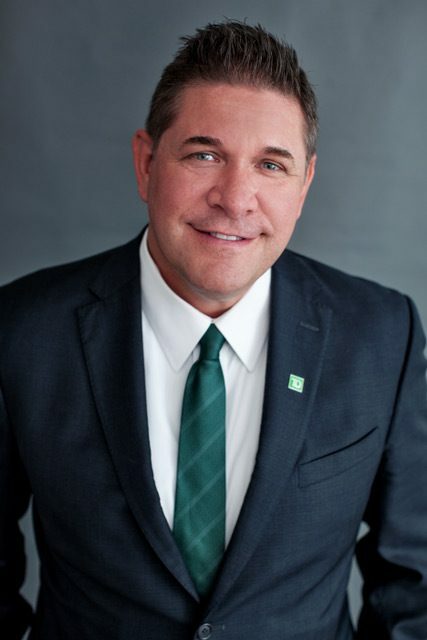 Prior to the Senior Private Banker role, I held positions as a TD Canada Trust Branch Manager, TD Mobile Mortgage Specialist, and spent a number of years in advisory positions in retail banking throughout the GTA. I am also committed to continuous education. I have completed the Professional Financial Planning course (PFP) Canadian Securities Course (CSC), Branch Compliance Officer Course (BCO) along with the Wealth Management Essentials Course. I am currently enrolled on the pathway to become a Certified Retirement Specialist. I am also an avid sports fan and still find time to play competitive baseball and hockey. I currently reside in Caledon with my wife Anita, who is an avid equine enthusiast. We have three children – the eldest is in her third year at Trent University, my son in his first year at Algonquin College, and my youngest daughter in grade two!